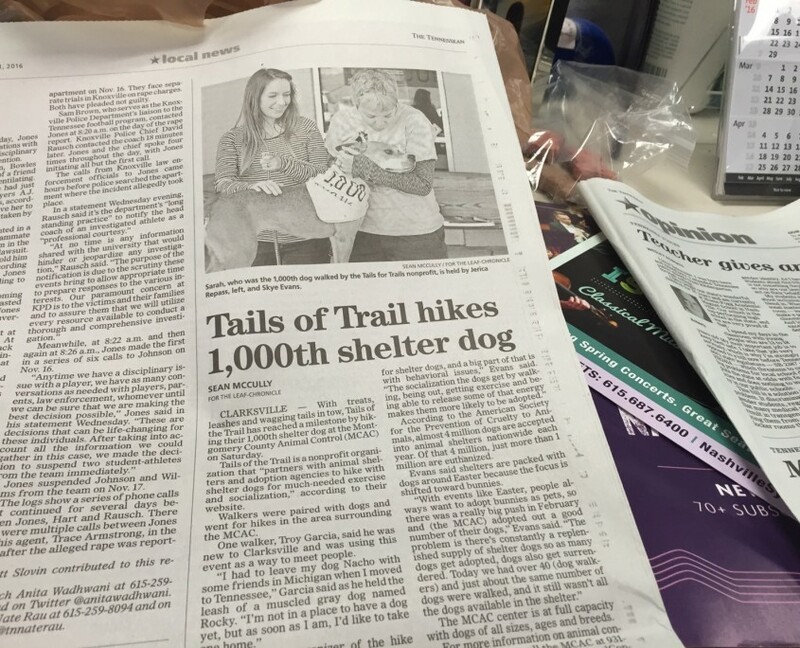 Susan Watson highlights Tails of the Trail working to help local canines find their forever home. There have been a lot of dogs that do not have a home across the state, and lots of them have been forced to stay cooped up in a kennel. News Channel 5 visits Middle Tennessee Boxer Rescue with Tails of the Trail. The Williamson Source was out at the SHEL album release show and Tails of the Trail fundraiser on June 24 at the historic Franklin Theatre. The venue also celebrated its fifth anniversary that night. 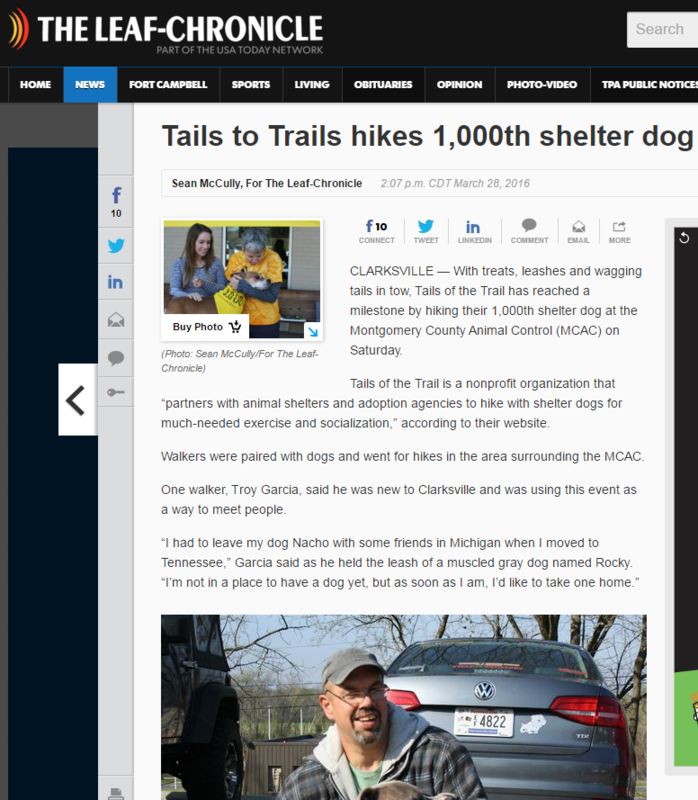 The inaugural hike to launch our South Carolina Tails of the Trail® affiliate made CN2 News! 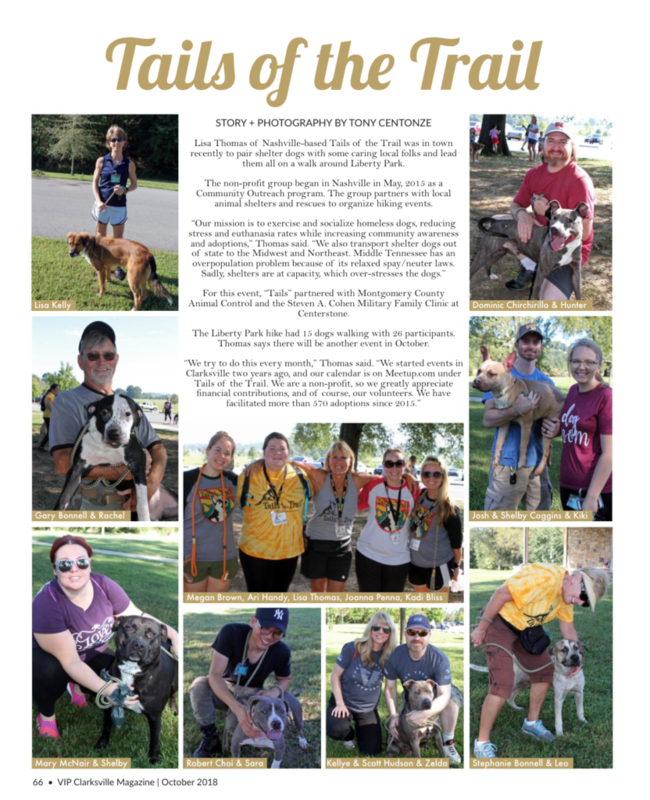 The station, which covers Rock Hill, Fort Mill, Clover, Lancaster, York and “every other community in the Tri County (Covering York, Lancaster and Chester Counties),” featured the April 10,2016 hike in partnership with Humane Society of York County.